A championship winning shot from the British & Irish Underwater Photography Championship - an on the day 24 hr shoot out competition held on the 26 August 2017. For this shot I have used an in-camera image overlay technique, otherwise called a double exposure. 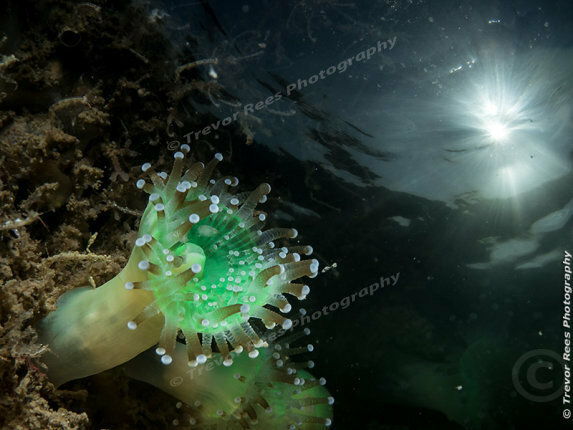 A jewel anemone taken on a wreck dive is shot using a macro lens and the sunburst is taken later in the day using a fisheye lens. The separate images were combined in camera and the image entered in to a Close-up category. Voted by the judges as the overall winning image.